Is each holster made to fit only a certain gun? We only make custom holsters. Each holster is cut, stitched, and molded precisely to fit YOUR gun model - it will never be "one-size-fits-all"! Who do you use for shipping, and do you ship international? We use the United States Postal Service (USPS) Priority Mail for ALL of our shipping, and charge a flat fee of $12.00. Standard transit time to the lower 48 is 3-5 days. We currently only ship in the US. Funds are collected immediately at purchase. Your order may not be ready to ship right away as we do have a back log of orders - however funds will be collected at the time of the order. Do you have holsters in stock? We do try to keep a selection of our most popular holsters on hand, so if your order happens to be one of these, your wait time will be considerably. Because of the amount of orders we get that stretch across models, it's impossible to keep everything in stock. When your holster ships, we will notify you via email. Do I use oil to care for my holster? Because our leather products are coated with clear coat (Acrylic Resolene), oil is not the proper care method. Please see our Product Care page for break in and care instructions! We use only the best, premium leather hides from companies such as Hermann Oak Leather because our holsters are crafted with only the finest quality. Are the colors exactly the same? Our products are photographed as closely as possible to match the leather samples to the colors you select for your item. However, we cannot guarantee that what you receive is exactly the same, as digital screens show differently, and hides carry slightly different tones from one to the next. PLEASE DO NOT SEND THE OVERALL BELT LENGTH; THIS IS NOT YOUR BELT SIZE! A. Your belt size is typically the same as your pant size plus 2 inches. 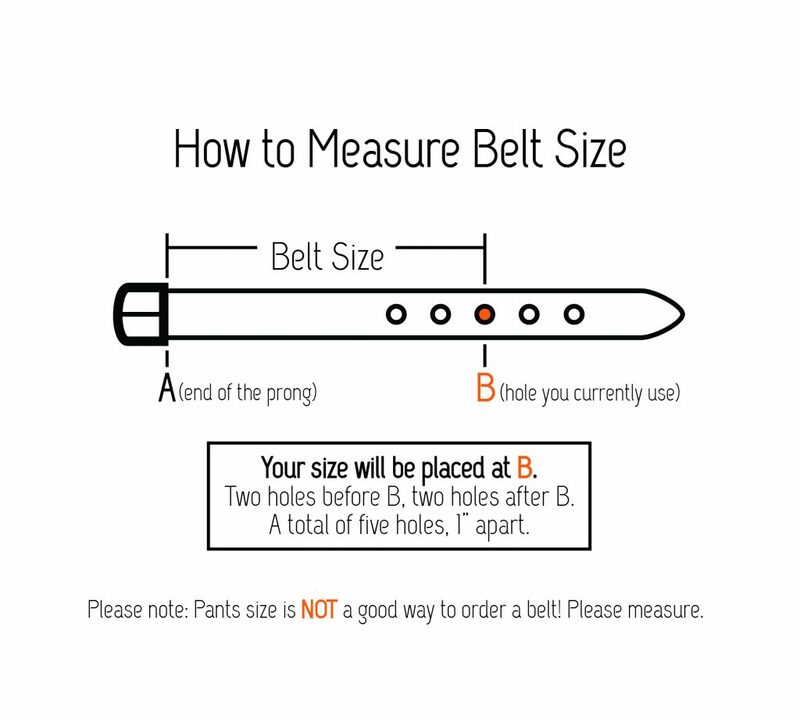 Your belt size is measured from the fold right before the buckle to the middle hole. B. To verify place a cloth measure tape THROUGH (NOT around or over loops) the pant belt loops to get an accurate reading. Where the cloth tape crosses should be your belt size. Pull it as tight as you are going to wear it. C. The preferable method is to measure an old belt from the fold to the hole you are wearing it in now. This should be the middle hole if the belt fits properly.